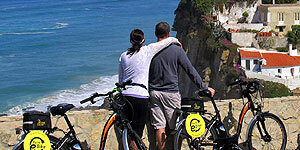 Outdoor fun exploring Sintra Parks and Palaces by electric bicycle on 3 distinct routes. 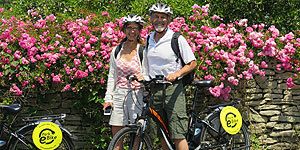 Park E Bike Electric bicycle rentals & tours are all about offering cyclists and non-cyclists alike the unique opportunity and the freedom to silently explore the undiscovered in one of the most charismatic locations in southern Europe. One of our goals is to promote clean, sustainable transport that is viable to all types of travelers visiting the UNESCO heritage site of Sintra. Below are 3 of our recommended routes that you can explore using our ebikes. They are designed to show you some of our favourite monuments, sights and places, and all safely within the range of the e-bike battery. 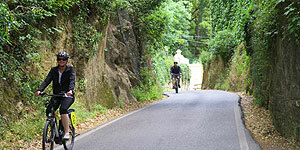 To see the highlights and best views of Sintra you need only a good E-bike to be the king of this hill. Half day route. Experience the most lavish gardens and exceptional romantic era architecture in Sintra. All day route.